The river flows from source to sea, a passing of time, a freedom of movement. Yet even the river is not safe from ownership, boundaries and private exclusivity. 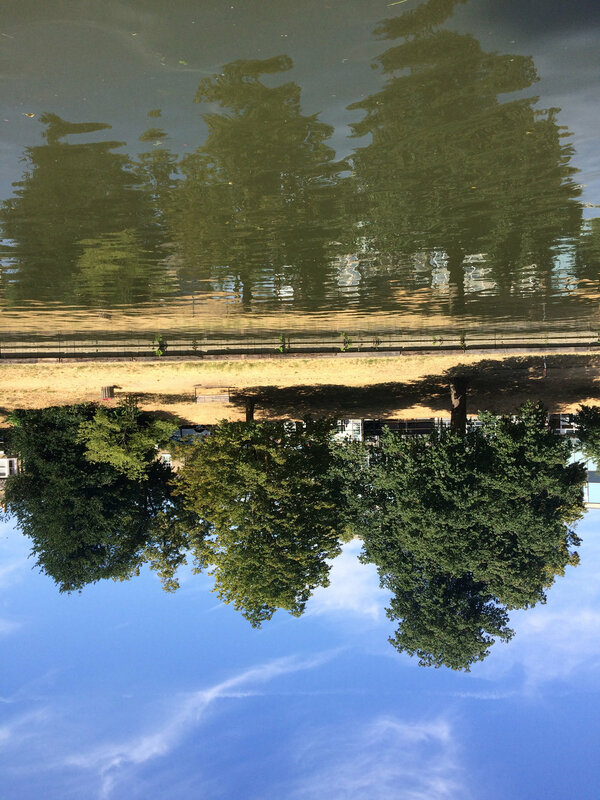 As part of Caroline's year-long residency on the River Cam, To The River, comes a new durational performance following the flow of the Cam and the different ways in which we travel along and next to it. Once a significant trade route, still crossing the city of Cambridge and connecting the communities along its path, Flow takes the idea of the river as a moving entity. Working with local people, the piece marks the river’s path with a line of performers along its route through the city. Transcending the boundaries and barriers found along the River Cam pathways by using different forms of transport, Flow draws up the river via a human exchange. From foot to punt to bike to boat, a token of the river is transferred from one end to another, carried by the tide of human hands rather than the water itself. FLOW starts at Baits Bite Lock at 11am and moves along the river until it reaches Byrons Pool later in the day. We anticipate that FLOW will reach the banks of Jesus Green Lock at 1pm. Why not catch it along there? Check out #FLOWwithInYourWay and #inyourwaycambs on Twitter or Instagram for location updates, photos and video. Visit the In Your Way Info Point on Christ's Pieces to see the progress mapped. Flow is created as part of 'To The River' River Cam residency, funded by Cambridge City Council. Produced by Artsadmin.